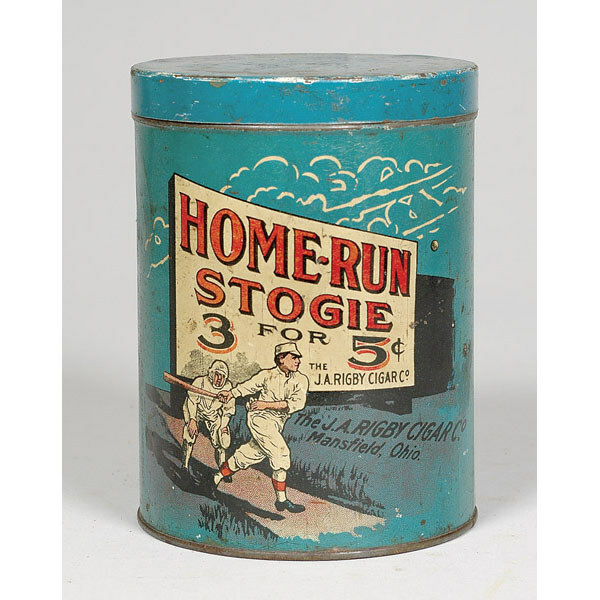 chromolithographed Home-Run Stogie 3 for 5c The J.A. Rigby Cigar Co. Mansfield, Ohio. cylinder tobacco tin with friction-fitted lid, image of batter hitting a home-run with catcher looking on rendered in blue, white, red and black, 6″ high x 4.25 diameter.